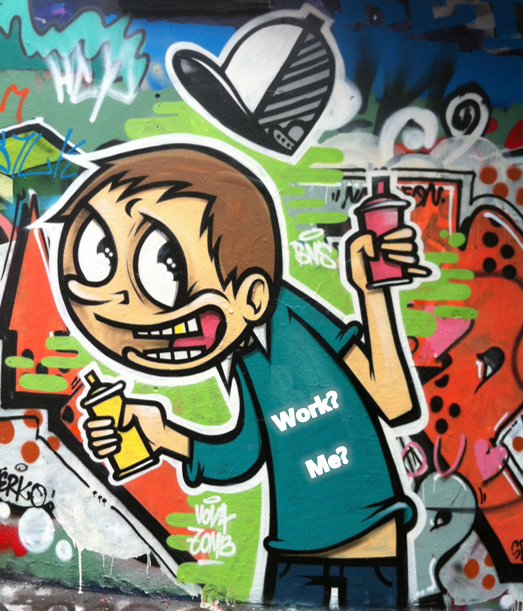 Social procurement involves additional social value being purchased alongside goods or services, such as the employment of long-term unemployed people. The concept of social procurement has been around in Australia for a few years, but it’s really gathered momentum in recent months and is fast becoming the standard, rather than alternative, way of purchasing. The September 2013 launch of Social Procurement Australasia marks a significant milestone, creating an umbrella-body over several organisations working in this area and provides support and resources to the wider community. When the Western Sydney Parklands Trust tendered for a contractor to help control the spread of weeds, they included a selection criterion for social program. This was worth 20% of the total score. The Trust didn’t specify what the social program had to be, offering providers flexibility and ingenuity in what they suggested. The successful contractor was an indigenous employment social enterprise. The Trust understood and accepted that including social benefits may cost them more than a standard contract and had budgeted for this possibility. In a presentation to local procurement officers, they stated that they were pleasantly surprised by the final result and estimated that they were within 10% of a standard contract price. They’ve made a great video about this contract – watch it here. The Department of Human Service (DHS) uses social procurement to drive change. In one tender to clean the common areas of a social housing estate, the Department of Human Services included a specific clause in the tender, requiring the respondent employ 35% of the contract workforce from unemployed social housing tenants living on the estate. This, along with other contracts including security services for the estate, makes a significant difference to the proportion of people that are employed in the estate, increasing confidence, skill and employability of residents and providing more role models for children in the estate. Tendering this way does not preclude commercial organisations, but does influence them to enhance the social benefit of what they do. Another way social procurement can be achieved is by purchasing from social enterprises (businesses that trade for a social and/or environmental purpose). For example, City of Sydney purchases catering from Yaama Dhiyaan [highly recommended – delicious and generous!] which offers hospitality training to Indigenous and non-Indigenous unemployed people. While this is an example of direct tendering, selective tenders can also be let to a range of social enterprises and not-for-profit providers. The Social Enterprise Finder from Social Traders will help find social enterprises in Australia, in a similar way to the directory for the Buy Social campaign by Social Enterprise UK. Buying fairtrade will ensure a fair price is paid to overseas suppliers, as the National Australia Bank demonstrated with its nationwide switch to fairtrade coffee, tea, sugar and hot chocolate. European procurement law is similarly open to the consideration of social outcomes in the assessment of value for money, however in practice non-financial outcomes were overlooked. In an effort to encourage commissioners to more consistently value social value, the Social Value Act has been introduced in the UK. 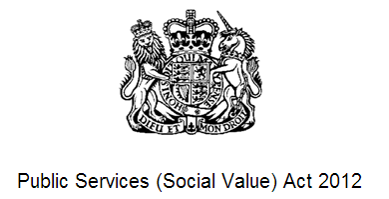 In 2012, the UK Government passed the Public Services (Social Value) Act 2012 which directs public authorities procuring goods or services to consider how their decision “might improve the economic, social and environmental well-being of the relevant area”. The Social Value Act has been widely supported by the social sector and has empowered and encouraged social sector organisations to demonstrate their social and environmental impact when responding to tenders. It encourages the inclusion of social value in cost-benefit analyses, an area of confusion previously. Part of the implementation of this Act has been through social enterprises clearly articulating their social value in tender responses, thus educating procurement officers as to the type of evidence they could be considering. The Social Value Act relies on respondents including and demonstrating social value, and leaves it to procurement officers to decide how to value this as they assess bids. Social procurement is more proactive and prescriptive in pursuing social outcomes. There is, however, a greater benefit to be realised by having both the legislation and the practice working together.